Brain Trust Partners’ Co-Founder and CEO, Scott Monty, takes us back to the wild west days of social media and his time with the Ford Motor Company. As someone who has cut through the jungle of building a social media presence for a major corporation, he knows well that simply glomming onto tactics is far different from deploying an actual strategy. It remains just as much of a fact today as it was then. The Difference is the show for big brand executives exploring one big question: In the digital age, why do some brands thrive while others struggle to survive? 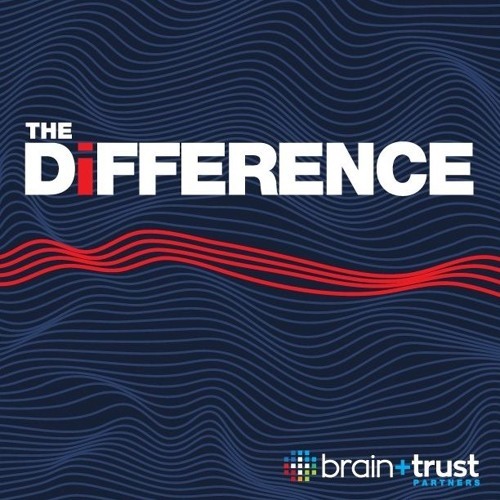 Each episode, the founders of Brain+Trust Partners tackle one big trend, technology, or change and explore the difference between succeeding and scuffling when trying to capitalize. Brain+Trust is an executive consultancy helping busy leaders make sense of customer behavior and data to drive results.